You may soon see a Siri-like virtual assistant on Galaxy phones. Samsung announced Thursday that it’s buying the artificial intelligence startup Viv Labs Inc., a company built by the same people who created Siri. Viv is advertised as a more powerful version of Siri by co-founders Dag Kittlaus, Adam Cheyer, and Chris Brigham. 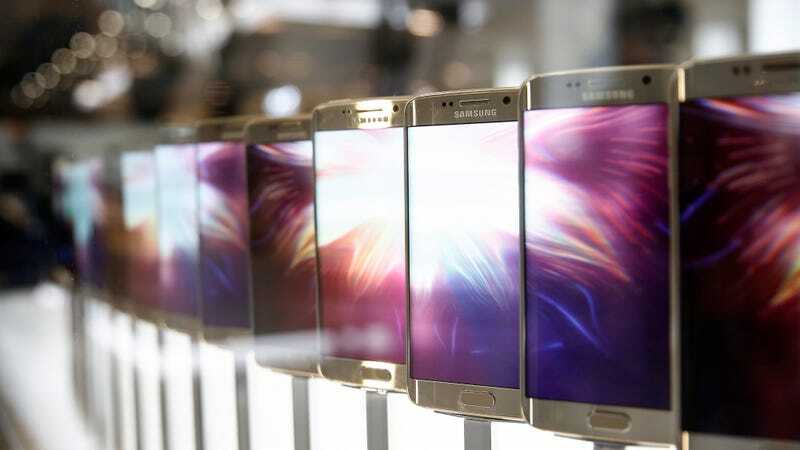 The company will continue to operate independently and simply provide its service to Samsung and its devices. Viv differs from Siri, Apple’s personal assistant, in a few different ways. Notably, it has allowed third-party developers to contribute new functions since its inception. (Apple only launched an SDK for third party developers to build on top of Siri earlier this year.) The open nature of the Viv is critical to its operation. The service allows different apps to share information with each other, making it capable of handling more complex queries and commands. The other thing that separates Viv from all other AI-powered assistants is its ability to write its own code and accomplish new tasks using something called “dynamic program generation.” That means when Viv hears a command it has never heard before, it will still try to determine the intent and generate a proper response. Usually, a tree of commands requires hard coding every single possible request. With Viv, that’s not the case. An example used during the company’s TechCrunch Disrupt presentation was the query, “Will it be warmer than 70 degrees near the Gold Gate Bridge after 5pm the day after tomorrow?” Viv was able to decipher the request in 44 steps that ran in the background, and it all happened within about two seconds. In essence, Viv is extremely good at understanding what you’re asking for. Viv will begin rolling out on Samsung phones in the second half of 2017, according to the Wall Street Journal. The ultimate goal for Viv’s creators is to have the digital assistant featured on all other Samsung products including things like home appliances and speakers. There is no set release date for those types of AI-powered appliances yet. The deal, which was made for an undisclosed amount, signals an interest from Samsung in packings its phones with news features to help it stand out above the iPhone. The company has made a handful of big acquisitions in the past couple of years to help bolster its phones’ capabilities. Last year, Samsung bought LoopPay for $160 million. Shortly after, the company released its own payment service, Samsung Pay, largely based off of the LoopPay technology. Samsung’s acquisition of Viv also comes at a time when its chief rivals Google and Apple have also shown an increased interest in artificial intelligence. Earlier this week, Google introduced a new smart speaker called Google Home and a new phone powered by AI called the Google Pixel. Apple has also continued developing Siri, which it purchased from the Viv creators in 2010, by rolling it out to MacOS computers earlier this year. With all of this increased attention on artificial intelligence, it’s clear that Samsung is trying to keep pace with its rivals. Let’s just hope Viv or other artificial intelligence doesn’t turn into “our worst mistake in history” as some scientists have suggested it can.